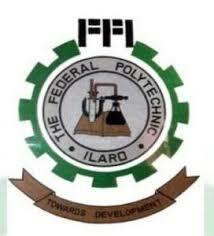 Federal Polytechnic, Ilaro [ILARO POLY] 18th Convocation and 39th Founders Day Ceremonies Schedule for 2018 Session. Authorities of the Federal Polytechnic, Ilaro [ILARO POLY] hereby invites the general public and the entire university community to their 18th Convocation and 39th Founders Day Ceremonies for 2018 Session. Attendance is strictly Mandatory for all Graduands.